Saint Joseph Academy advanced to the district semifinals with a 5-1 win over Strongsville on Thursday evening. 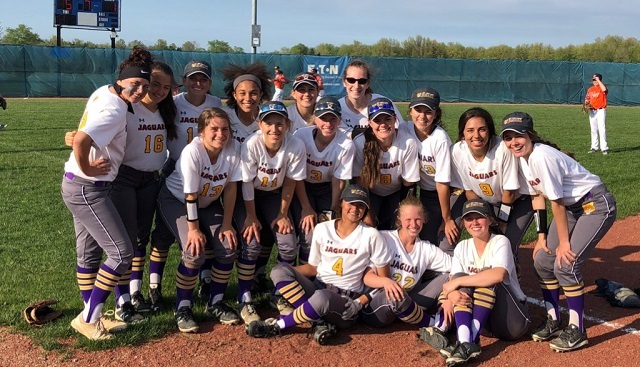 The Jaguars, now 17-9 on the season, will take on North Royalton in the district semifinals on Wednesday at 5:30 at Cuyahoga Community College – West Campus. Against the Mustangs on Thursday, pitcher Maya Johnson was dominant. The freshman had a complete game allowing just four hits and striking out 13 in the win. Sophomore Ali Lane had a three-run triple in the first inning as the Jaguars jumped out to a 4-0 lead. The other Jaguar run came on a triple by Frankie Milosovic who was then driven home by Celine Ortiz in the 6th.